The real estate market has eased up since the economic decline of October 2008, but traditional relocation packages are not always adequate for high-level C-suite positions, including, on occasion, CIOs. In 2014, I saw some very creative relocation packages for the CIO candidate of choice. Although not-for-profit hiring organizations are more conservative in giving “extras” or embellishments to their C-Suite hires, one or two had to be creative when developing relocation assistance for their candidates of choice. 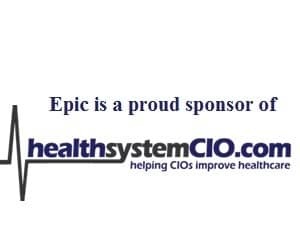 Let’s examine some “basics” and “extras” that might be included in a relocation package, as well as examples of relocation packages given to health system CIOs in 2014, and what might be expected in 2015. Most employers offer these basic relocation benefits in their offer letters. House-hunting trips — the typical benefit is two house hunting trips with four days in duration including spouse and all travel, meals and expenses paid. Moving and storage of household goods — packing, moving and unpacking of household goods and possible storage of up to 30 or 60 days might be included. The organization may have a recommended mover or request that you get three bids. Unusual items such as boats, horses, fine antiques and building materials, etc. are typically not included. Temporary housing — A typical employer will cover three to six months of interim housing, which may also include meals. Sign-on bonus — These can range from $20,000 to $100,000 and may be tied to longevity at the organization and may be netted up to include taxes. A lump sum may be given to cover all the above costs, but beware of the hidden tax liability and seek a consult with a tax counselor. These are extremely rare “extras,” so don’t expect them in the not-for-profit hospital and health system market. Payers, for-profits, and vendors may use them to attract an exceptional candidate moving to a high-cost of living location from a low-cost of living area. House hunting trips — Two to three trips, including spouse and/or family, is the norm. Moving and storage of household goods — $20,000 to $30,000 is typical, occasionally tied to a longer (e.g., 3-year) commitment. Temporary housing — Four to six months, with 100 percent paid lodging and meals, is typical. Sign-on bonus — These are given to most but not all CIO hires, and range from $25,000 to $50,000; the amount is sometimes given as a lump sum to cover interim housing and other moving incidentals. Hiring organizations are creating a combination of options to attract their candidate of choice. The not-for-profit health systems are less likely to offer home buying, real estate commissions, and closing costs, so don’t expect those “extras.” The good news is that the basic relocation benefits are becoming more generous.